Natrol Biotin Maximum Strength 1000/10000 mcg 100 Tablets. Promote Healthy Hair And Strong Nails. EOS Lip Balm and Hand lotion 100% Authentic. Retail at Singapore Orchard. 125 Ketone Test Strips. Testing Levels of Ketones Diabetics. Expiry Date 2020 July. 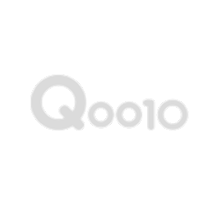 Qoo10 $ Support! [Qprime]EOS Lip Balm and Hand lotion 100% Authentic. Retail at Singapore Orchard. Nature’s Way Fenugreek Seed 610mg 100/180 Capsules. For Skin Hair Health and Breastfeeding mothers. Madre Labs / California Gold Omega-3 Premium Fish Oil 100 Fish Gelatin Softgels. Halal. Glucosamine MSM Vegetarian 120/240 Vcaps. Supports Healthy Joint Function / GMP Quality.